Tuesday, April 10, 4:30 p.m.
Dr. Levinger will draw on findings from a two-year study that she codirected on the organizational development practices of 15 Red Cross and Red Crescent National Societies around the world. Through the prism of this research, she will identify what social change organizations need to do to remain relevant and make a sustainable difference in the lives of those they serve. Since 1992, Dr. Beryl Levinger has held the appointment of distinguished professor at the Monterey Institute of International Studies, a graduate school of Middlebury College. Her academic focus is on the management of international social change organizations, particularly those engaged in sustainable development in low-income countries. Areas of academic expertise related to this focus include development planning, educational policy analysis, program evaluation, and capacity-building to strengthen civil society organizations. 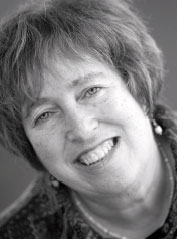 As a veteran practitioner with over 40 years’ experience in international social change, Dr. Levinger has held many important leadership positions including director of the Center for Organizational Learning and Development, president of AFS Intercultural Programs, and senior vice president of CARE. She is also a founder and past vice chair of InterAction, a consortium of more than 150 internationally focused nongovernmental organizations based in the U.S. Her field experience includes 10 years in Latin America with the United States Agency for International Development (USAID) and the Peace Corps as well as shorter assignments undertaken in 80 countries. She has been a consultant to many major international organizations including the World Bank, UNICEF, United Nations Development Program, Pan American Health Organization, Save the Children, and the World Food Program. She also served for many years as senior adviser to USAID on matters pertaining to the measurement of NGO capacity, human capacity development policy, and program evaluation. Until recently, she was USAID’s principal adviser for evaluation and capacity assessment on a 17-country project designed to address the needs of underserved youth. Dr. Levinger is coauthor of Toward the New School. Published by the Colombian Ministry of Education in 1977, this book created the framework for the widely acclaimed New School model, which has subsequently been replicated in many countries across Latin America, Asia, and Africa. Dr. Levinger has won numerous awards for her work including two special citations from the Peace Corps. In 1998, she was awarded the Martin Foreman Memorial Lecture Prize for her substantial contributions to the field of nutrition and food aid. The Monterey/Middlebury Lecture Series was established for Middlebury College and the Monterey Institute of International Studies to promote shared expertise and education through the exchange of faculty visitors. An affiliate of Middlebury since 2005, the Monterey Institute became a graduate school of Middlebury College on July 1, 2010.